If you are looking to buy a new home or refinance your current one, your best bet is to stay away from conventional mortgage loans. Getting the best interest rate possible is the only way to save money. When you get your loan, the principle repayment is going to be the same no matter what. However, what you pay to get the loan, the interest, is where you could end up paying many times more than your home is worth. The FHA has special loan guidelines that lenders must follow to provide loans. However, these guidelines are much lower than traditional lenders usually need to approve a loan. The FHA also gives home owners a break on interest. They do it by insuring banks that if they provide loans that meet their guidelines, they will insure the loan against default. That lets lenders give home buyers a much lower interest rate than they would be willing to risk. In addition, the FHA offers advantages to home owners who have an initial loan under their policies. For home owners who already have an FHA loan to purchase their home, the FHA allows a Streamline offer on refinances. That makes getting a loan to improve your existing home, or take advantage of better rates or terms much easier. Instead of going through the entire process of applying for a loan, the lender can use the existing information from the previous FHA loan to grant an approval. Now is the best time to consider refinancing with an FHA Streamline loan. The end of the month is the best time to make the change because of an unusual quirk in the FHA process that would charge interest a second time at the end of the month for a loan done earlier that same month. Timing your refinance properly can save you hundreds of dollars in “double” interest for the month. Even though you will save as much as .25 points on an FHA loan vs. a conventional loan, primary mortgage software provider Ellie Mae shows that it really does matter what day you close a loan on to save that initial penalty in extra monthly interest. Every month has an optimal closing date. Work with your lender to find out when the best time to close on your FHA loan is for the month you are in. An FHA Streamline loan makes getting a loan simpler for existing FHA home owners. By using the paperwork from an original loan, home owners can refinance without having to go through all of the hassles of filling out long application forms, getting all of the old information or having credit checks done. The Streamline loan from the FHA lets lenders use all of the information already on file to simply re-do an existing loan. Because the Streamline loan does not require all of the verifications an initial loan does, the savings to the bank is passed on to the home owner. It can mean saving as much as 5% monthly on payments. To be approved for the Streamline loan, the existing loan must be current and in good standing. The original loan must be at least six months old, with all payments made. The Streamline loan is available to all FHA homeowners, even if they have already used other FHA offers such as an FHA HAWK program. The FHA Streamline is available for home loans up to $725,750. That number is even higher than a standard FHA loan limit of $625,500, allowing home owners who purchased high value homes to get a refinance loan to do improvements or for other needs so long as the value of the home meets the new figures. High value FHA loans are only available in areas where housing costs are higher than the national average such as in Los Angeles, California, Loudoun County, Virginia and Montgomery County, Maryland. The FHA Streamline Refinance program is available to multi-unit homes as well if they were originally bought with the FHA 203k loan. The FHA 203k loan is a construction/purchase loan that combines both initial purchase and an improvement loan together. The rates on all FHA loan products are low when compared to standard conventional mortgage interest rates. You can save money when refinancing with an FHA Streamline Refinance loan in a couple of ways. The first way the Streamline loan helps you save money is by keeping costs of loan approval low. By allowing lenders to approve a loan without all of the costly and time-consuming efforts of verifying income, credit and other information, they can give home owners a better rate and lower closing costs. FHA Streamline loans also avoid the need for re-appraisals unless the new loan amount is above the value of the existing one on file. 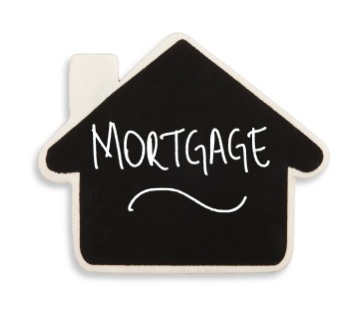 There are no commission fees and most FHA-to-FHA loans are able to close in less than 20 days. Much faster than a typical new loan. Even when you are eligible for an FHA refinance loan with the Streamline process, it is important to consider the decision carefully. The time of the month will have a lot to do with the amount of money your new loan will cost, and if you are not close to the end of the month, it is probably a good idea to put off applying for a loan until a later date. Closing on a new FHA loan early in the month can mean paying as much as 31 days extra interest. In contrast, closing at the end of the month will only cost a few days interest for the current time period. That can make hundreds of dollars of difference, and be worth the wait to close later in the month. Most conventional loans do not have such a rule, so if you need to close earlier in the month, you may be better off looking into a VA IRRRL if you are eligible, or another conventional loan type. Keep in mind that closings of non-owner occupied homes or rental properties do not have the same 3 day right of rescission. Closings on those types of properties need to be on the last business day of the month if possible to avoid extra interest costs.